Owning a dog is a huge responsibility, it’s completely down to you to keep them happy and healthy. If you aren’t prepared to look after them properly and deal with any health issues that they might have, you shouldn’t really be getting a dog in the first place. One of the biggest health problems that people have with their dogs is weight gain. When a dog is overweight, it can lead to a lot more serious health problems in the future, like arthritis, for example, because the extra weight is putting a lot of stress on their joints. There are a lot of different reasons that a dog will gain weight, some more serious than others. If your dog has gained a lot of weight recently, these are the things that you need to watch out for. Just like people, the most common reason that dogs gain weight is because of a bad diet. This is a tricky issue because people often assume that all of the food is pretty much the same and as long as you aren’t feeding them too much of it, their diet is healthy. But in reality, that’s not true at all. Some of the most popular brands of food are actually filled with all sorts of unhealthy things, they’re essentially junk food for dogs. So many people end up with dogs that are overweight because they’re feeding them these foods which are marketed as being good for your dog. It’s best to speak with your vet and find a dog food that is healthy and made with natural ingredients. Swapping out your dog's food can make a big difference to their weight very quickly if the food you were giving them before is bad. Treats are another dietary issue with dogs. When you’re training your dog, you'll often use treats as a reward, which is fine. 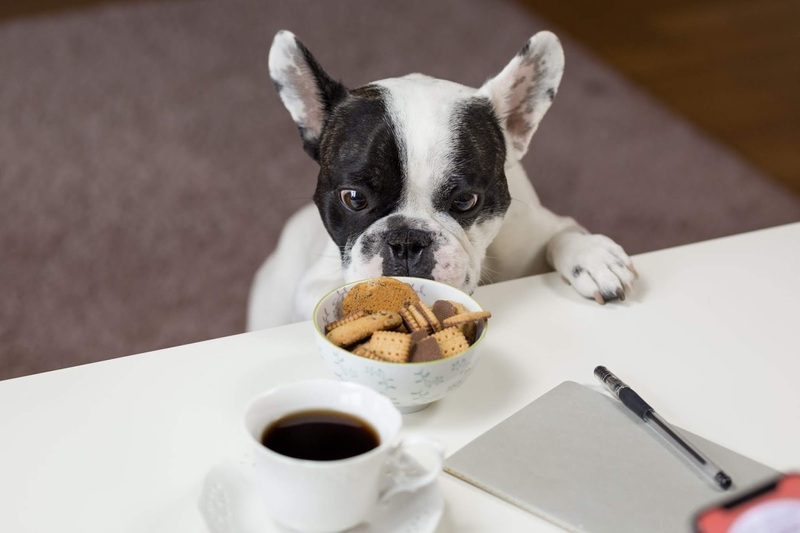 But it’s important that you limit the number of treats that they have so they don’t start gaining weight, or use smaller sized treats like doggy safe chocolate buttons. Every dog owner knows that walks are important, but sometimes, people don’t realize just how much exercise their dog needs. It varies between breeds so some dogs will be ok with one walk each day, while others will need a lot more exercise. It’s important that you consider this when buying a dog so you can make sure that you’ve got enough time to exercise them as much as they need. If you buy a very large dog that needs walking a lot but you don’t have time to do that, they’re going to develop problems with their weight. If your dog hasn’t been spayed, they may start gaining weight because they’re pregnant. If your dog has recently escaped, been out of your sight at the dog park (even for a short while) or could have been around a male dog while at doggy daycare, on a walk or when they were looked after by friends then this could be something to consider. It's worth having your pets neutered, not only does this prevent certain kinds of cancer but also prevents unwanted litters. There are far too many dogs already that end up at shelters and being put to sleep where no one wants them. This could quite easily end up being the fate of one of your dog's pups later down the line. Sometimes, weight gain can be a sign of diseases like Diabetes or Thyroid disease in dogs. If you’ve noticed that they’re gaining weight and you’re feeding them good food, exercising them regularly, and they’ve been spayed, you should get them to the vet straight away because something might be wrong. When you take your dog to get their annual booster vaccinations your vet will pop them on the scale, if they notice a serious weight fluctuation from the previous year they can give you the advice you need or refer your pooch for tests. Weight gain in dogs can be very dangerous so it’s important that you’re vigilant and you always take action as soon as they start to gain weight, before it becomes a bigger problem.